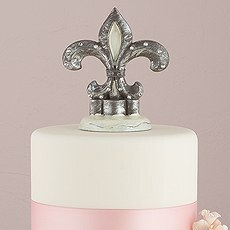 When nothing else will do, this assortment of unique designs are ideal for cakes and dessert décor. 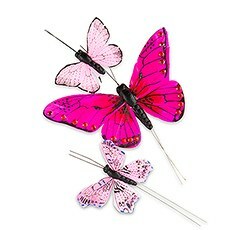 If the traditional bride and groom cake toppers just don't suit your style, we've got you covered at Weddingstar. 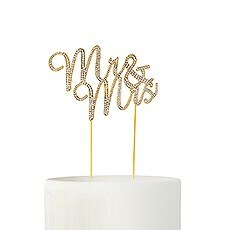 This selection of stylish, trendy and totally unique cake toppers ensures that your wedding cake can stand out and make a big impression at your reception. With so many distinctive wedding cake decor options from which to choose, you'll easily be able to find something that fits in with your theme. 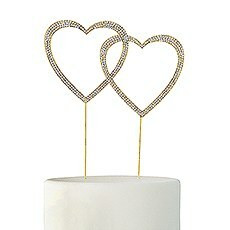 If you're having a modern, glamorous wedding, choose something with a minimalist design along with a few shiny accents. 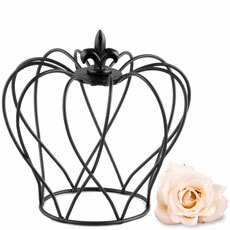 For those having a romantic boho wedding, an ornate crown or butterfly cake topper is just what you need to complete the look for your special dessert. 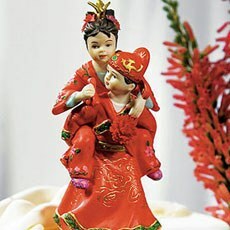 You'll love being able to choose a wedding cake topper that reflects not only your wedding theme but also your personalities as a couple.At Weddingstar, we make finding beautiful wedding decor easy and affordable. 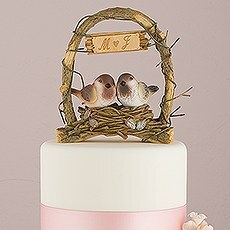 Be prepared to be blown away by the budget-friendly prices on our selection of unique cake toppers for weddings. 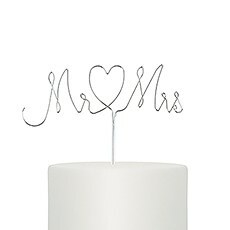 Despite the low prices, however, you'll discover that our items are all well-crafted with high-quality materials like metal and porcelain, ensuring that you can hold on to these cake toppers as keepsakes for many years to come. 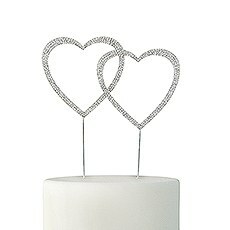 Why not get your cake toppers out to celebrate your wedding anniversary each year? 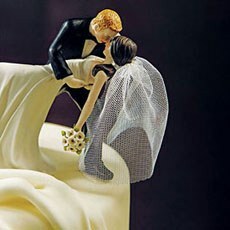 It's a great way to commemorate the beginning of your life together while recalling an important detail from your special day.Finding personalized cake toppers is a breeze when you shop at Weddingstar. 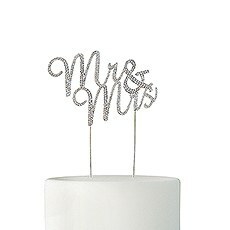 We offer a wide variety of bride and groom cake toppers, animal cake toppers, Mr. and Mrs. cake toppers and more, all at affordable prices. 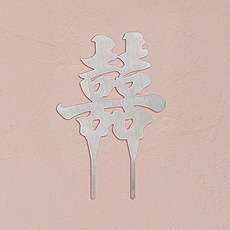 In addition, Weddingstar is the best resource for all kinds of other wedding essentials, including personalized wedding cocktail napkins, thoughtful gifts for your wedding parties and stylish wedding decor. 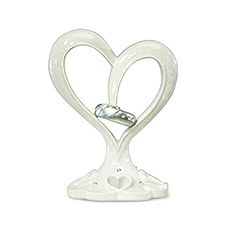 Shop on our site to discover the best deals on wedding accessories to make your day more memorable.